Now it is possible to access to vast XBRL data directly from Excel spreadsheets. In order to do that all you need to do is to install latest version of Reporting Standard S.L. software. Access to the downloads page. 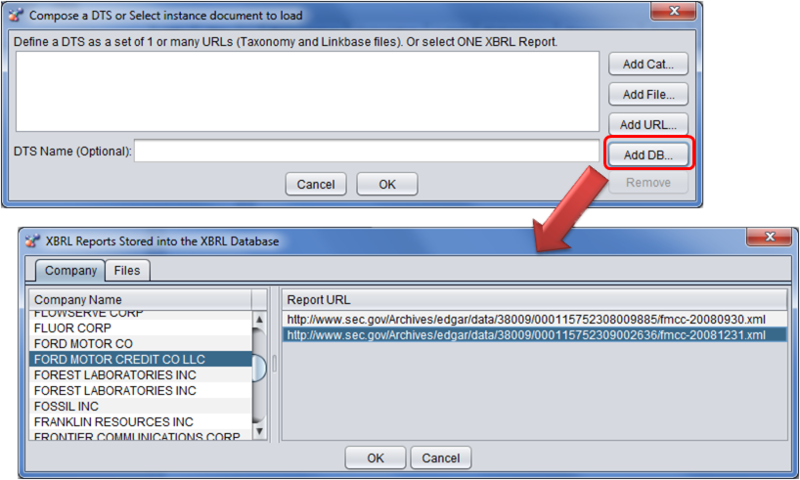 Then, setup the database using XBRLizer and start storing XBRL reports. 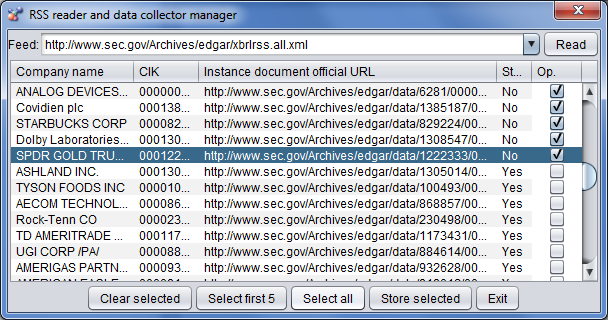 The tool allows you to store all reports published to the US-SEC automatically into a relational database. From Excel using specific Excel functions. 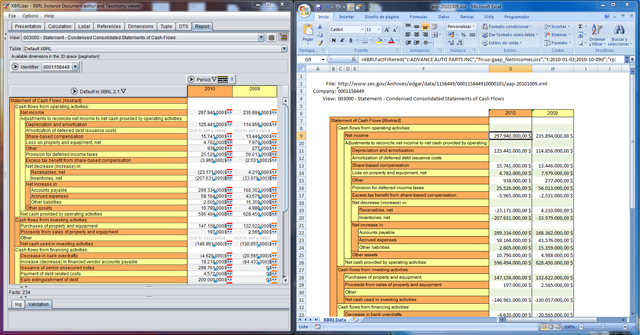 From Microsoft PowerPivot for Excel 2010. You may use XBRLviewer or XBRLizer for opening XBRL Reports and visualize them directly in the native format. You can export the current view from XBRLizer or XBRLviewer into an Excel spreadsheet that contains functions to access to the XBRL data directly into the XBRL Database. You can access all data stored into the XBRL Database. There is more information in the WIKI. It is up to you how you define your excel sheets so you can benefit from all available XBRL information now.